Psychological astrology is an attempt to reformulate contemporary astrology in terms of psychological concepts and practices. Although psychological astrology received its initial impetus from Carl Jung's analytical psychology and later from Dane Rudhyar's attempts to integrate astrology with humanistic psychology, contemporary astrologers have gone beyond these early forays. More recent attempts include the assimilation of ideas from psychodynamic theory, existential psychology, object relations theory, general systems theory, gestalt therapy, cognitive behavioral psychology, and various other psychological models and perspectives. In this regard, humanistic and Jungian approaches must be regarded as subsets of psychological astrology as a whole. I consider Humanistic, Third Force Psychology, to be transitional, a preparation for a still "higher" Fourth Psychology, transpersonal, transhuman, centered in the cosmos rather than in human needs and interest, going beyond humanness, identity, self-actualization, and the like. Given Maslow's assertion, one should not equate psychological astrology with conventional notions of psychology and thereby strip it of its transpersonal dimension. As a transpersonal theory, astrology adds significant breadth and depth to psychology, transforming it into a more spiritualized model that relates psyche to cosmos, just as Maslow envisioned. Psychological astrology can be differentiated from therapeutic astrology on the basis of it not being limited to psychotherapy. Whereas therapeutic astrology seeks to establish general guidelines, principles, and professional standards for the application of astrology to the fields of counseling and psychotherapy, psychological astrology, per se, is a broader discipline. Just as psychologists must be trained in a variety of different subject areas—psychotherapeutic techniques, personality theory, psychopathology, human development, and research methodology—so the interests of psychological astrologers extend beyond a focus on counseling. Articles and books by practitioners cover a broad array of topics, including developmental stages, sexual dysfunction, learning disabilities, psychopathology, eating disorders, dream analysis, and research methodologies. Although astrology clearly involves counseling, every approach to counseling is founded upon certain presuppositions about the human psyche it hopes to treat. These presuppositions, in sum, constitute the personality theory that supports the therapy. From a psychological perspective, astrology is implicitly a personality theory. Various attempts have been made to organize astrological concepts and precepts into a formal model. As noted in Calvin S. Hall and Gardner Lindzey's Theories of Personality, any adequate theory of personality must accomplish the following minimal objectives: (1) it must be comprehensive, or integrative, in that it deals with the total, functioning person; (2) it must account for what motivates the human being; (3) it must contain a set of empirical definitions concerning the various parts of the personality, thus permitting observation; (4) it must consist of a cluster of assumptions about behavior that are systematically related in accordance with certain rules; and (5) it must be useful in that it is capable of generating predictions about personality characteristics that are testable and verifiable, thus expanding knowledge. Astrology meets all the qualifications for a theory of personality. First, astrology is a comprehensive system in that it is concerned with all the parts and processes that make up the totality of the human psyche. Second, the signs of the zodiac provide clear referents for the impulses, motives, and instinctual drives that govern and regulate human conduct. Third, the various signs, planets, and houses, which constitute the parts of personality, are empirically defined. Fourth, the rules of chart interpretation—delineation, synthesis, and aspect analysis—represent specific assumptions about behavior that are systematically related. And fifth, astrology is useful in that it not only explains the facts of behavior, it is also capable of generating predictions or propositions that are verifiable, thus promoting research. Astrology, then, consists of a set of assumptions concerning human behavior together with rules for relating these assumptions and definitions to permit their interaction with observable events. A simple example should suffice to illustrate this. If a person has Saturn on the ascendant, this theory would predict that the function symbolized by this planet would be a salient feature of personality. This prediction is based on the related assumptions that the ascendant is a conspicuous element of personality, and planets conjunct the ascendant will be prominent in the person's appearance and behavior. Since Saturn has an empirical definition, e.g., Saturn represents the process to organize and is associated with orderly, serious behavior geared toward satisfying the need for structure and control, this allows for the testing of the validity of these assumptions, i.e., how do these concepts match up with actual observation of this person's behavior? If this subject does, in fact, appear to be orderly, serious, structured, and the like, then the assumption is confirmed. This example shows how astrology represents a theory complete with motivational drives, psychological faculties with empirical definitions, systematically related assumptions, and a capacity for generating predictions that are empirically verifiable. Every planet, sign, and house is implicated in the personality, thereby showing how multidimensional and integrative a theory astrology is. There is no behavioral phenomenon of demonstrated significance that falls outside the theoretical framework of astrology. Astrology is also the only system in which there are external referents—signs and planets—for pieces of psychic structure. These external referents are visible, predictable, and capable of complexity beyond any theory of human behavior devised by psychology. While astrology is simple in its derivation of archetypes (signs), it is complex in its ability to derive individual process from these archetypes (planets in sign, house, and aspect); each piece of psychic structure has concrete meaning yet is infinitely variable in combination. Because astrology has many shades of meaning, it is easily compatible with almost any psychological model, almost all of which can be subsumed into astrological language. For example, Sigmund Freud's tripartite division of the mind into id, ego, and superego is roughly paralleled in astrology by the relations between Mars (id), the Sun (ego), and Saturn (superego). Of course, the many elements of astrology make it a vastly subtler and potentially sophisticated model for depicting the structure and dynamics of the psyche. Another way that astrology differs from conventional personality theories is that it has no founder. Astrology was not invented, created, or developed by any single individual or group of individuals, as is the case with other personality theories. Invariably, a personality theory bears the stamp of its creator; that is, a theory is a self-portrait of its founder. This can be clearly seen, for example, in Freud's chart, which perfectly symbolizes the Oedipus complex that Freud universalized for every human being. This same principle holds true for the founders of other personality theories. Each theory, with the exception of astrology, starts off as a projection of one person's individual viewpoint and subsequently attracts adherents who resonate with that viewpoint. In each instance, the peculiarities of the theory can be traced back to the prejudices, tendencies, issues, and cognitive styles that are clearly reflected in the horoscope of the founder. Astrology, on the other hand, is a more objective framework since it does not originate with any one individual (or even one culture), is based on empirical observation, and has stood the test of time. In this sense, it can be thought of as a meta-theory that subsumes other models. It was not until the advent of humanistic psychology in the 1960s that astrologers began to think seriously about the chart in terms of growth and transformation. For those who began studying astrology only recently, it might seem that it was always this way. But it was not. Although, in his book The Secret of the Golden Flower, Jung said, "Astrology represents the summation of the psychological knowledge of antiquity," the fact is that there was very little in astrology prior to the 1960s that bore much relationship to what today is considered "psychological." Ancient peoples initially perceived the planets as gods who ruled over the various processes of nature, much as a king ruled over his subjects. The conceived relationship between celestial and terrestrial events was linear, dualistic, and hierarchical: a superior power had dominion over an inferior one. While later and deeper forms of astrological philosophy recognized that macrocosm and microcosm were actually interpenetrating and thus their relationship was not linear or dualistic, this view declined with the collapse of the Hellenistic culture in the third century. A simpler model prevailed during the medieval period and persisted in one form or another right up to the second half of the twentieth century. Human beings were perceived as fated recipients of cosmic forces that could be propitiated but not denied. Such a gloomy determinism was reinforced by a value-laden terminology that too often described the birth chart in ominous terms, e.g., malefic, evil aspect, debilitation, affliction, detriment, fall, destroyer of life, hell of the zodiac, and so on. Of course, there were "good" parts to astrology as well, such as benefics and exaltations, but these only served to underscore the determinism of the system. Planets were variously conceived as transmitters of mysterious rays or electromagnetic forces that impacted upon the individual at birth. Understandably, this induced individuals to focus their attention outwards to see what malice or affection the gods might have in store for them. The rigid determinism of traditional astrology did not allow for the possibility of change or growth in consciousness. Instead, people more likely consulted the stars as a means of avoiding a calamitous fate or of exploiting opportunities for manipulating circumstances to personal advantage. The implication of traditional, event-oriented astrology was that the individual was a potential victim of an indifferent universe over which he had little or no control. Accordingly, astrologers were only too eager to give people what they wanted—predic-tions, advice, warnings, and simplistic solutions to what is now recognized as complex, psychological problems. At best, traditional astrologers were well meaning individuals interested in the prediction of events and the description of character, and they did no harm. At worst, they were fear-peddling individuals who exploited the insecurities and anxieties of the people who purchased their services, and they did great harm. The vast majority of mundane predictions about illnesses, accidents, divorces, shipwrecks, earthquakes, scandals, inheritances, marriages, job promotions, and the like, were utterly useless except to create an addiction to the astrologer whose pronouncements appeared to offer some promise of control over the events in question. But no astrologer could predict with certainty exactly what the events would be, under precisely what circumstances they would take place, or how they would affect the person. Especially lacking in such predictions was the meaning and purpose that the event might have beyond its immediate effects. What relationship did it have to the consciousness of the experiencer? What opportunities did it offer for self-insight and growth in awareness? Likewise, the traditional astrologer's description of character was generally limited to superficial trait descriptions heavily laden with moral judgments and glib advice. At best, the astrologer confirmed what the individual already intuitively knew. At worst, the astrologer confused or upset the individual with interpretations that were shallow, insensitive, judgmental, overly negative, or just plain wrong. There was little if any attempt to address the deeper dimensions of the chart that hinted at unconscious beliefs and fundamental drives that underlay surface behavior. Character was seen as either static and unalterable, or easily modified by following the cosmically informed counsel of one's astrologer. Such assumptions appear naive from the perspective of modern, depth psychology. While changing one's inborn character can be extraordinarily difficult, it can be achieved through courage, persistence, and hard work. It was the Swiss psychoanalyst Carl Jung who first recognized the vast potential of astrology as a tool for exploring the depths of the human psyche. In various writings throughout his life, Jung made reference to his profound respect for astrology. He asserted that astrology had a great deal to contribute to psychology and admitted to having employed it with some frequency in his analytic work with clients. In cases of difficult psychological diagnosis, Jung would draw up a horoscope in order to have a further point of view from an entirely different angle. In a letter to Professor B. V. Raman, published in the June 1948 issue of American Astrology, Jung wrote: "I must say that I very often found that the astrological data elucidated certain points which I otherwise would have been unable to understand"
In C. G. Jung: Letters (volume II), Jung regarded the signs and planets of astrology as symbols of archetypal processes that originated in the collective unconscious. The archetypes of the collective unconscious were the universal organizing principles underlying and motivating all psychological life, both individual and collective. 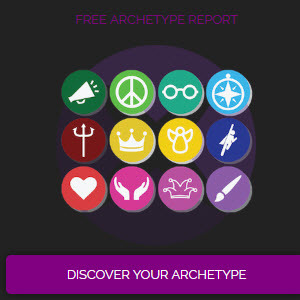 Whereas mythology placed its emphasis upon the cultural manifestations of archetypes at various times and places in history, astrology utilized archetypes as a language for understanding the basic psychological drives of human beings. "Astrology, like the collective unconscious with which psychology is concerned, consists of symbolic configurations: the planets are the gods, symbols of the power of the unconscious." The gods of mythology represented the living forces of the universe that patterned all things. Like Plato's Forms, an archetype was both subjective and objective; it was evident both in the innate ideas of human consciousness as well as in the fundamental processes of nature; it informed not only human experience but also planetary motions. It was precisely this dual nature of the archetype that enabled the chart to bridge inner character with the outer events that reflected that character. "There are many instances of striking analogies between astrological constellations and psychological events or between the horoscope and the characterological disposition," wrote Jung in his Letters. Archetypes, he concluded, were psychoid, i.e., they shape matter as well as mind. An astrological configuration defined both the innate disposition of the individual and the particular kinds of outer conditions that the individual was likely to experience. In an interview with André Barbault that appeared in the May 26, 1954, issue of Astrologie Moderne, Jung stated, "One can expect with considerable assurance, that a given well-defined psychological situation will be accompanied by an analogous astrological configuration." Jung recognized that the unique and unparalleled ability of astrology to disclose correlations between planetary motions and human experience also made it an accurate way of timing life crises: "I have observed many cases where a well-defined psychological phase or an analogous event has been accompanied by a transit—particularly the afflictions of Saturn and Uranus." Jung's observance of correlations between psychological phenomena and astrological data contributed to the formulation of his theory of synchronicity. In The Interpretation of Nature and Psyche, Jung defined synchronicity as "the simultaneous occurrence of a certain psychic state with one or more external events which appear as meaningful parallels to the momentary subjective state." Accordingly, Jung did not hesitate to take the synchronistic phenomena that underlay astrology seriously. Astrology, he thought, worked precisely because of synchronicity, i.e., the psychic structure of the person about to be born was "meaningfully paralleled" in the positions of the planets at that time. When looking for a way to test the hypothesis of synchronicity, Jung set up an astrological experiment that correlated planetary configurations, or cross aspects, between the charts of marital partners. He hypothesized that certain cross aspects would appear with greater frequency between the charts of marital partners than between charts of people who had no relationship. "The meaningful coincidence we are looking for is immediately apparent in astrology," said Jung, "since the astrological data ... correspond to individual traits of character; and from the remotest times the various planets, houses, zodiacal signs, and aspects have all had meanings that serve as a basis for a character study." Although Jung never developed any systematic theory of astrology, it appears that his own theory of analytical psychology was heavily influenced by it. There are so many parallels that one is almost forced to conclude that at least some of his major concepts were borrowed directly from astrology. In addition to his explicit endorsement of planets as archetypes and his theory of synchronicity as a means for explaining astrological coincidences, Jung's notion of two attitude types—extrovert and introvert—is readily recognizable by astrologers as the bipolar division of the zodiac into two polarities—positive/masculine (extrovert) and negative/feminine (introvert) signs. Likewise, his four function types—intuition, sensation, thinking, and feeling—are roughly paralleled in astrology by the four elements—fire, earth, air, and water. In addition to these more obvious analogues, there are additional correlations that have been explored by astrologers. These include ego/Sun, persona/ascendant, shadow/Pluto, anima/Venus, animus/Mars, and collective unconscious/Neptune. Difficult astrological configurations, especially those involving hard aspects from the outer planets to Mercury, Venus, Mars, Moon, or Sun, have been observed by astrologers to represent trouble spots in the personality similar to what Jung described as psychic complexes, i.e., unconscious, emotionally charged memories, images, and thoughts clustered around a central core. In the 1930s, Dane Rudhyar began to reformulate modern astrology in terms of Jung's analytical psychology. He especially focused on Jung's idea that the psyche was a dynamic compound of opposing forces in equilibrium, and that the psyche was intrinsically motivated to evolve in the direction of psychic wholeness, a process Jung called individuation. Jung believed that the process of personality transformation was innate, or teleologically motivated. Personality was not merely the product of external forces, but strove purposefully towards a final goal of self-realization. As the individual learned from self-created experience, the archetypal structuring of the psyche became increasingly differentiated, integrated, and whole. In Rudhyar's 1936 book The Astrology of Personality, he recognized that these ideas were readily adaptable to astrology. The chart, too, was a dynamic compound of opposing forces (signs) in equilibrium. And the various parts of astrology with their myriad aspects and interrelations were symbolic of archetypal forces struggling to transform themselves into an integrated whole. Rudhyar realized that "the process of individuation was implicit in every horoscope." By the 1960s, Rudhyar's project of reformulating astrology received new impetus from the humanistic movement in psychology. Humanistic psychology, as embodied in the writings of Abraham Maslow, Carl Rogers, Rollo May, and others, had arisen in response to the bleak pessimism inherent in the Freudian psychoanalytic view and the robot conception of human potential implied in behaviorism. Both psychoanalysis and behaviorism were deterministic in that they conceived of personality as the effect of causes external to the person himself, i.e., genetics, parents, environmental conditions, and so on. Humanistic psychologists countered this trend by developing models that could account for the apparent purposiveness and growth-seeking behavior of human beings. Rather than portray the individual as caught in an interminable struggle between instinctual drives and the inhibiting influence of society (psychoanalysis), or fragment the person into a multitude of conditioned behaviors as seen from an external vantage point (behaviorism), humanists perceived the individual as a unified organism made up of autonomous drives and functions that could be differentiated from one another and integrated into a functional whole greater than the sum of its parts. Humanistic psychologists challenged Freudian theory by postulating that instinctual drives were not dangerous forces erupting out of a primitive id, but healthy impulses that should be valued and trusted. The individual was perceived as a creative, self-actualizing, and self-determining organism capable of making responsible decisions and growing progressively toward an ideal state. Unlike behaviorists who ignored the internal world of consciousness, humanists emphasized the primacy of the subjective element. Whereas behaviorists contended that behavior was solely conditioned by external causes, humanists focused on the relevance of intentionality as an internal cause of behavior. While behaviorists were concerned with how behavior could be manipulated and controlled, humanists emphasized the capacity for personal freedom and choice. In sum, it was not the outer environment that was of central importance to the humanistic psychologist, but the person's inner world of perceptions, values, thoughts, beliefs, attitudes, expectations, needs, feelings, and sensations. Rudhyar was the first to recognize how astrology and humanistic psychology complemented one another. The chart, in effect, could be utilized as a tool for mapping the complex inner world that humanists were starting to explore. Just as humanistic psychology was a response to the determinism inherent in psychoanalysis and behaviorism, humanistic astrology was a response to the determinism inherent in traditional, event-oriented astrology. Borrowing from Carl Roger's 1951 book Client-Centered Therapy, Rudhyar (1972) developed Person Centered Astrology. Rudhyar was less concerned with whether astrology works than on how it could be utilized to assist the process of self-actualization. The real question was, given that astrology works, What is its proper use? In 1969, Rudhyar founded the International Committee for Humanistic Astrology and declared that astrology was, or should be, primarily a technique for understanding human nature. He decried the implicit determinism of predictive astrology and focused instead on astrology's potential as a symbolic language. Instead of seeing planets as transmitters of physical influence, Rudhyar saw them as symbolic of human functions. As a psychological language and diagnostic tool, astrology could serve as a guide to the integration and transformation of personality. Rudhyar's approach was "person centered" in the sense that every birth chart was unique; a horoscope represented the individual's total potential in which no planet was "good" or "bad," but rather each element was part of an organic whole. Events were not interpreted as isolated occurrences with fortunate or unfortunate effects, but as purposeful, phase-specific manifestations of developmental cycles. An event derived its meaning from the stage it represented in a given planetary cycle and contributed to an ongoing process of growth that lead inexorably toward self-realization. In the 1970s, the humanistic banner was taken up by such astrologers as Zippo-rah Dobyns, Richard Idemon, Stephen Arroyo, Robert Hand, Donna Cunningham, and others. Humanistic astrologers asserted that there is no absolute separation between human and divine; rather people and planets are woven into the same seamless web of being. Every individual is a focus and channel for the numinous energies that permeate the entire cosmos. Consciousness, not matter, is the primary reality of the universe. As the human psyche is both reflective of and embedded within the universal psyche, it partakes of the creative power of this parent consciousness. The psyche is bound and animated by the laws and formative principles of the one being of which all lesser beings are parts. While the universal laws of absolute being cannot be violated, the individual is free and self-determining within the boundaries of these laws. Rudhyar held that each person was born in response to a need of the universe at a particular time and place. The birth chart, in effect, represents the solution to this need, i.e., it reveals the purpose of the life and the key to one's destiny. Put another way, the horoscope is like a "seed plan" that shows a person's unique path of development. Just as a seed packet depicts a picture of the plant that the enclosed seeds may eventually become, so the horoscope symbolizes the kind of adult that the individual may become. In this view, nothing occurs in a human life except for a purpose, and this purpose is the purpose of the whole acting through the individual. This whole is often referred to as the core self, the indwelling divinity that is rooted in a living, purposive universe. The question then becomes not what is going to happen, but what is its meaning? Astrology, said Rudhyar, can be utilized as a kind of karma yoga in which everything that happens is related to who the person is and what he or she may become. Thus, the humanistic astrologer should not be concerned with events, per se, but only with the response or meaning that the client gives to them. "It is not the predictable events which are important, but the attitude of the individual person towards his own growth and self-fulfillment," Rudhyar wrote in Person Centered Astrology. The advantage of the birth chart is that it depicts the individual as a whole and thus provides a means for understanding how internal conflicts result in personality fragmentation and the exteriorization of conflict. Individuals split off and deny certain parts of themselves when the needs that underlay the expression of these parts meet with pain and frustration. Various functions get repressed and projected, and thus the individual is reduced to only part of what he or she potentially is. Unintegrat-ed functions are typically experienced in the outer world in the guise of people and situations the individual attracts. What the individual experiences as a problematic situation or relationship can be seen in the chart as an aspect of his or her own psyche. In this way, the horoscope indicates what functions have been denied and projected, and through what circumstances (houses) they will likely be encountered. While the birth chart provides insight into the client's internal conflicts, transits and progressions reveal when these conflicts will be targeted for healing. These planetary movements indicate the nature, meaning, and duration of various developmental periods, each of which presents its own challenges and opportunities. While transits may correlate with outer events that seem to impinge upon the individual, astrology suggests that these events are the synchronous external manifestation of inner changes. In other words, environment and psyche are reflections of one another. The outer events serve as the trigger or stimulus to promote inner psychological growth. Seen in this way, transits reveal those parts of a person's nature that are ready to be consciously integrated, explored or transformed. .welcomes crises as signs of growth. He attempts to help the client or patient to reorient himself toward the causes of the crisis, to reassess his goals as well as his motives, to accept what is, but in a new and holistic manner ... which eventually should lead to harmony, inner peace, wisdom and compassion. The value of astrology, then, is not its power to predict what the gods have in store for humans, but its ability to reveal the god-like powers that reside in the depths of every human being. Accordingly, the focus in humanistic astrology is inward, not outward, and interpretations are made in terms of personal growth and fulfillment. Simply put, the goal is to help the client realize the potentials that are symbolized by the horoscope. Telling people they are fated to experience specific negative events can be highly destructive. The view taken here is that character is destiny, and that by changing our character (our habitual attitudes, beliefs, and actions) we can change our destiny. With self-knowledge, we can integrate conflicts, overcome weaknesses, further develop talents, and move toward balance. As humanistic psychology puts it, we can achieve self-actualization and self-transcendence. In many ways, humanistic astrology represents a genuine advancement in the theory of humanistic psychology. Both Jungian and humanistic psychologies have been criticized for their lack of precision in describing the inner nature of the human being. References to archetypes, faculties, functions, impulses, and the like tend to be vague and speculative, with no concrete referents for outlining in a systematic manner the structure of the psyche. Humanistic psychology is more a set of attitudes toward the person than a precise and useful theory of personality and human growth. Astrology, on the other hand, provides objective predictable correlates for the structure and dynamics of the psyche while also indicating the directions that growth might occur. The person with Saturn opposed Venus, for example, may shift over time from a negative, fearful attitude toward relationships, e.g., "I will resist being controlled by my domineering partner," to one of responsible and loyal commitment. Such a shift would reflect a more mature, realistic attitude toward relationship, e.g., "a good marriage requires patience, humility, and hard work," while still being consistent with the astrological meaning of Saturn opposed Venus. This further implies that the static, fixed meanings that traditional astrology ascribed to planetary aspects reflected a limited understanding of how astrology works. A central postulate of psychological astrology is that a given astrological configuration is multivalent, i.e., capable of manifesting in a variety of ways while still being true to the nature of the archetypes involved. As an individual becomes more integrated, the outer manifestation of his or her chart will change to reflect the growth attained. Thus transits and progressions are not interpreted in terms of specific, concrete events, but as qualities of durations of time that provide opportunities for specific kinds of development. How a transit is experienced—its form and quality—is largely dependent upon the level of consciousness of the experiencer and the meaning s/he attributes to the event. As a theory of causality, psychological astrology is radically opposed to the mechanistic determinism implicit in most psychological models. It does not assume that psychological problems are invariably the by-products of an unhealthy culture, traumatic experiences, or faulty child rearing. Because the precise nature of the person as well as his or her environment is implicit in the symbolism of the chart from the first breath, astrology suggests that character and destiny are fated. But as Liz Greene pointed out in her book The Astrology of Fate, fate is indissolubly bound up with justice and law rather than a random predetermining force that dictates a person's every action and experience. Fate was called Moira by the Greeks and evolved from a vision of an orderly, interconnected cosmos. As the guardian of justice, Moira was simply natural law raised to the status of a deity. She embodied the principle that because humans are part of nature they cannot violate nature's laws without suffering the consequences; they cannot repudiate an archetype or express an archetype to excess without exacting a penalty designed to correct the transgression. In this regard, fate is a cause-and-effect principle analogous to the eastern doctrine of karma. Fate is not simply a blessing or punishment conspired by the gods, but a corrective process in the service of a transcendent purpose. And this purpose is that the individual evolves toward a fuller realization of the divine order that humans naturally embody. Combining the doctrine of karma with the theory of astrology can account for the fated quality of a person's life and character. The chart may be seen as a seed plan or blueprint of destiny, but in the end it is a self-created fate. This perspective suggests that the infinite wisdom of the cosmos decrees that a person is born when the planets are arranged in a structure that reflects the fate that the individual has earned on the basis of past actions in past lives. Subsequent experiences with one's culture and caretakers derive out of a pre-existent psychic structure. The environment, then, beginning with the body, is not so much a primary as a secondary cause of behavior; it is a mirror reflecting the soul's already existing internal structure. In regard to the etiology of a pathological condition, the environment confirms, but it does not originate, the child's primary anxieties and inner conflicts. Of course, one cannot dispute environmental deficits and their effects. What needs to be emphasized, however, is the individual's accountability. In this view, the experienced environment constitutes karmic feedback to activate, correct, and refine a person's innate character, however long and painful this process may be. As noted in an article by J. Segal and H. Yahres in the November 1978 issue of Psychology Today, some studies indicate the child has as much effect on the parent as the parent has on the child, thus the parent-child relationship is reciprocal. Likewise, recent developments in past-lives therapy suggest that a given life may be but a single chapter in a long and ongoing evolutionary process, as noted in such books as Coming Back: A Psychiatrist Explores Past-Life Journeys (Moody), Many Lives, Many Masters, (Weiss), and Other Lives, Other Selves (Woolger). Psychological astrology emphasizes character over fate and does so for a simple reason: human beings have more control over character than fate, thus character deserves the greater emphasis. As far as fate is concerned, early childhood conditions signify the first and thus prototypical event pattern that reflects psychic structure. This, however, does not mean that the environment is merely the effect of how it is perceived (constructivism). The constructivist position that one constructs a reality on the basis of meaning attributions is only relatively valid. It is valid in the sense that how a person interprets events is going to shape his subsequent experience. His interpretations will influence his feelings and behavior (subjective reality), and these, in turn, will tend to influence subsequent responses from others (objective reality). In this sense, each person does construct a reality that conforms to his or her subjective world. That subjective world, however, may derive initially from an objective fate that has been earned on the basis of past actions in past lives, and which was internalized at an early age in the form of emotionally significant childhood experiences—the prototype event pattern. These formative experiences become part of psychic structure, i.e., mental habits, beliefs, expectations, and images of self and other, all of which are symbolized by the horoscope. This formulation is consistent with Jung's theory of synchronicity and his definition of archetypes as having a psychoid factor, meaning they shape matter as well as mind. A basic tenet of Jungian psychology (and psychological astrology) is that archetypes/planets are nonlocal; they do not reside solely within the psyche as structural elements, but rather are inherent in nature as a whole. Archetypes are imminent and thus infinitely diffused throughout nature. It is precisely this psychoid quality of the archetype that mediates a meaningful connection between inner, psychic factors and outer, objective events. Heraclitus's statement, "character is destiny," implied that subjective character and objective fate were two sides of the same issue. Unless this issue is framed in a context that includes multiple lives, astrologers are forced into a deterministic model—the assumption that the planets, a capricious creator, or random chance is the final and ultimate determinant of destiny. Humans are creatures of fate, yet have the power to choose. This is the classic paradox in which astrology is embedded. So the horoscope can be interpreted on multiple levels—objective world, subjective world, and the dynamic relations between the two. It may be that evolution is built into the structure of these relations in that there is an opportunity to learn from self-created experiences (fate). Of course, this is an article of faith, not of fact. However, it is unlikely that all elements of fate are absolutely fixed because that would leave no room for growth or change, and if there is one thing that modern psychology has established it is that people can and do change. Fate can be massaged in the direction of more satisfying outcomes to the extent that the individual learns. The exact degree to which fate can be altered must remain speculative. Still, this is an infinitely more hopeful vision of human beings than the idea that they are determined by forces beyond their control. Perhaps the greatest contribution of psychological astrology is the idea that character is fate, and if humans can alter their character, they can mutate their fate. Psychological astrology is the reformulation of astrology in terms of modern psychological concepts and theories. While it initially derived its impetus from Jungian and humanistic approaches, it has recently expanded to include psychodynamic, cognitive behavioral, and object relations theories, among others. Whereas traditional astrology tended to focus more or less exclusively on outer events and relatively superficial descriptions of personality, without seeing how the former derives from the latter, psychological astrologers try to discern the relationship of character to fate at a deeper level. Psychological astrology is inherently transpersonal. A key component of this model is borrowed from Jung's concept of synchronicity, which postulates that outer, physical events are meaningfully related to the consciousness of the experiencer. Events are conceptualized as derivatives of consciousness; as such, they provide feedback that catalyzes the further maturation of soul. This formulation is consistent with a reincarna-tionist perspective, which, when woven into astrology, implies that the horoscope is a symbolic map of both character and fate, the two being mirror images of one another. 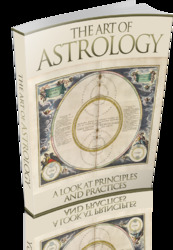 The addition of a psychological perspective to astrology contributes to an evolving understanding of the field. Astrology's traditional, event-oriented and predictive dimensions are situated within a context that allows for the growth and development of character. Moreover, psychological astrology makes the evolution of psyche the cornerstone of its model. Dobyns, Zipporah. The Astrologer's Casebook. Los Angeles: TIA Publications, 1973. Greene, Liz. The Astrology of Fate. York Beach, ME: Samuel Weiser, 1984. York: J. Wiley & Sons, 1998. Jung, Carl. C. G. Jung: Letters. Vol. II. Edited by G. Adler and A. Jaffe; translated by R. F. C.
Hull. London: Routledge and Kegan Paul, 1976. --. "Commentary." In The Secret of the Golden Flower. Translated and edited by R. Wilhelm. New York: Harcourt, Brace, & World, 1962. -. Interview with André Barbault. Astrologie Moderne (May 26, 1954). -. Letter to Professor B. V. Raman. American Astrology (June 1948). Psyche. Edited by C. Jung and W. Pauli. New York: Pantheon, 1955. Maslow, Abraham H. Toward a Psychology of Being. 3rd ed. New York: J. Wiley & Sons, 1999. Moody, Raymond. Coming Back: A Psychiatrist Explores Past-Life Journeys. New York: Bantam, 1990. Houghton Mifflin, 1951. Rudhyar, Dane. The Astrology of Personality. Garden City, NY: Doubleday & Company, 1936. -. From Humanistic to Transpersonal Astrology. Palo Alto, CA: The Seed Center, 1975. -. Person Centered Astrology. Lakemont, GA: CSA Press, 1972. Segal, J. and H. Yahres. "Bringing Up Mother." Psychology Today (November 1978): 93. Weiss, Brian L. Many Lives, Many Masters. New York: Simon & Schuster, 1988. Woolger, Roger J. Other Lives, Other Selves: A Jungian Psychotherapist Discovers Past Lives. New York: Doubleday, 1987.